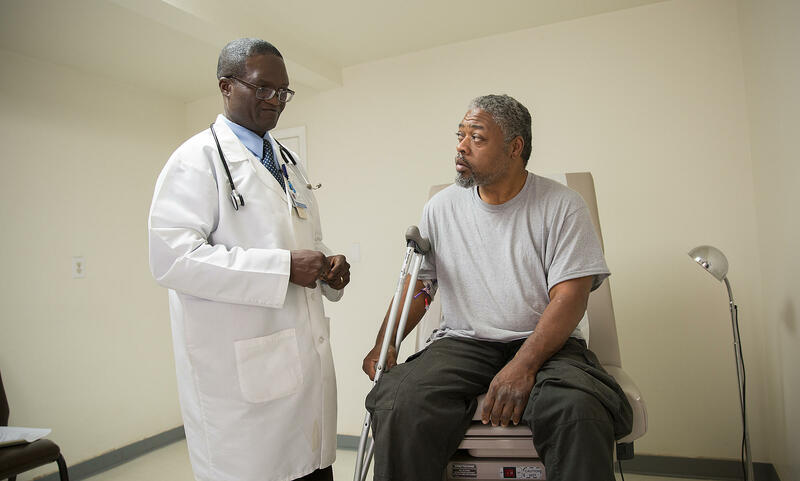 of Dr. Francis Aniekwensi visits with patient Calvin Elps. Aniekwensi is currently one of two part-time physicians in Warren County. He welcomes the news of a new doctor in town. The Warren Community Health Clinic building has sat empty since spring 2016. For ten years, staff there served nearly 5,000 patients using a variety of free and sliding scale payment models, grants and other donations. But it wasn’t enough to keep the lights on. Word of a potential new facility opening up in Warren County has many around the community like Vicky Stokes hopeful. “Having that clinic here is going to be vital to healthcare for all of the citizens of Warren County, and especially the aged,” said Stokes, who directs the Warren County Senior Center. Former patients like Roy Alston echo that sentiment. Last week, the community got an early Christmas gift, according to Warren County Manager Robert Davie. “The Board of Commissioners approved a lease agreement for a five year lease, with a five year extension, to H.O.P.E. Regional Medical Clinic which will hopefully open in the clinic building soon,” Davie said. A view of downtown Warrenton. For ten years, the Warren Community Health Clinic served nearly 5,000 patients using a variety of free and sliding scale payment models, grants and other donations. But it wasn't enough to pay the bills and the clinic has closed in the spring of 2016. The agreement states the county will lease the 2,200-square-foot space to H.O.P.E. Regional Medical for $1 a month, according to Davie. According to the lease agreement, Dr. Demaura Russell will run the H.O.P.E. Regional Medical Clinic. Russell declined a WUNC interview request, but in a phone interview, her spokesman Joe Dudley, Jr. said Russell is working to secure funding for the clinic. Russell is not new to Warren County’s medical community. Retired Physician Cosmos George says Russell was raised in Warren County. The exterior of the Warren County Health Clinic, which shut its doors to the public in the spring of 2016. Since the clinic’s closure, many in the local and medical community have talked about how to continue serving a population that is largely African American and poor. Among them is Francis Aniekwensi, a doctor and a partner at Beckford Medical Center. Aniekwensi is one of two part-time physicians in Warren County. He welcomes the news of a new doctor in town. 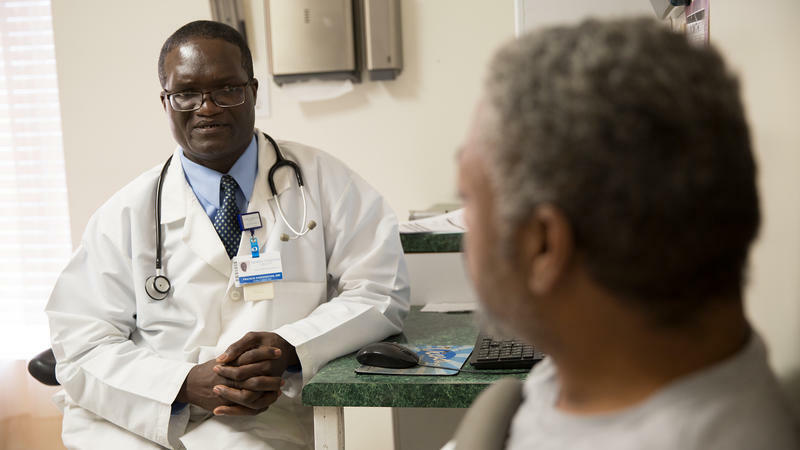 “The more physicians that are able to come to the community to establish a practice, the better for the community,” Aniekwensi said. But Aniekwensi said he knows from experience how hard it is for many in this community to pay a private doctor’s fees and a free clinic is still needed. The new H.O.P.E. Regional Medical Clinic likely won’t be ready to open its doors until summer 2018. Warren County officials say at least $500,000 in funding will be needed to get the clinic opened and staffed. But for now, many are encouraged by the prospect of a new business – and a new doctor – coming back to town. NOTE: This report was produced as a project for the Dennis A. Hunt Fund for Health Journalism, a program of the USC Annenberg Center for Health Journalism. 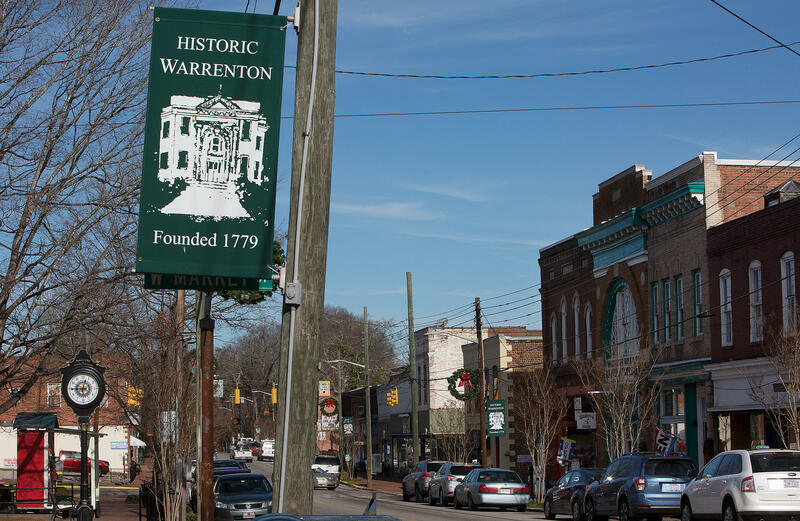 If you know of a former patient of the Warren Community Health Clinic in Warrenton, email Reporter Leoneda Inge at linge@wunc.org.